You'll get in some beach time at Manly Beach and Clovelly. Visiting Bondi Beach and Bouddi National Park will get you outdoors. Explore Sydney's surroundings by going to Featherdale Wildlife Park (in Blacktown) and Pulpit Rock Lookout (in Blue Mountains National Park). Spend the 1st (Tue) wandering through the wild on a nature and wildlife tour. And it doesn't end there: take a stroll through Darling Harbour, kick back and relax at Camp Cove, identify plant and animal life at Hawthorne Canal Reserve, and stroll through Coogee Beach. If you are flying in from United States, the closest major airport is Sydney Kingsford Smith International Airport. 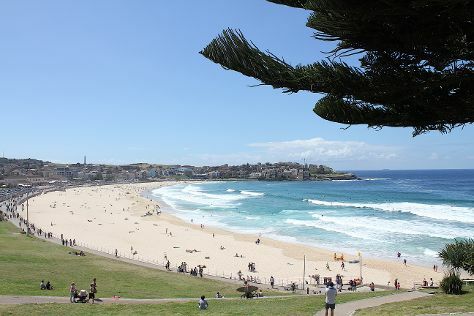 In December, daily temperatures in Sydney can reach 81°F, while at night they dip to 65°F. Cap off your sightseeing on the 1st (Tue) early enough to travel back home.